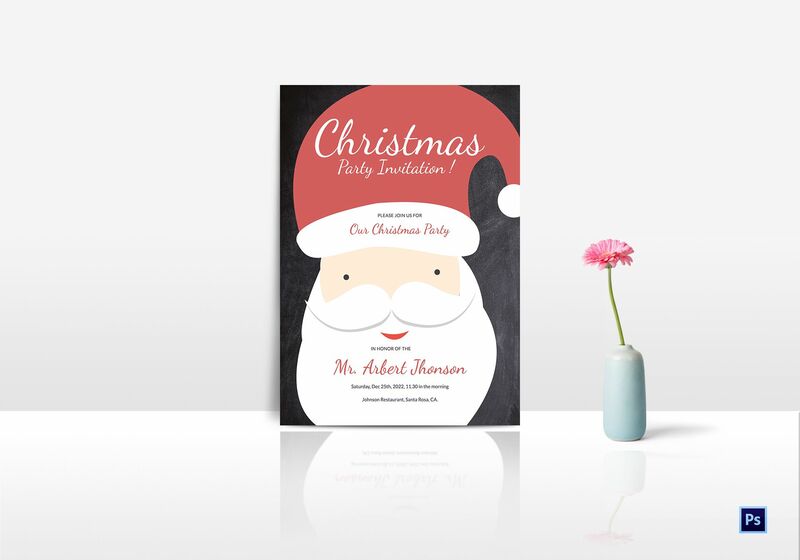 Invitations are one of the very essential elements of every occasion, most especially on celebrations that are held during the Christmas season. 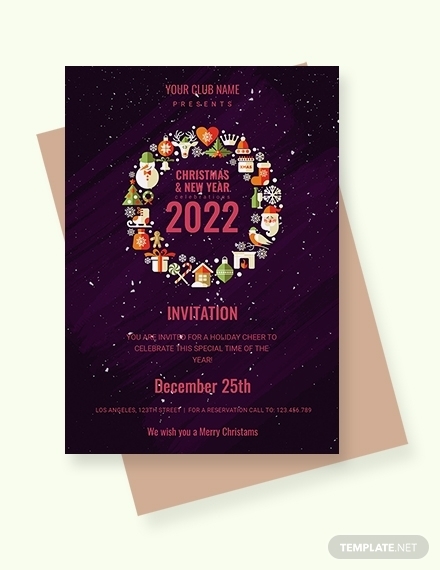 If you are planning to host a Christmas party, whether with your workmates, colleagues, friends or with your family members, inviting them over with the use of Christmas invitations will build more excitement and anticipation. 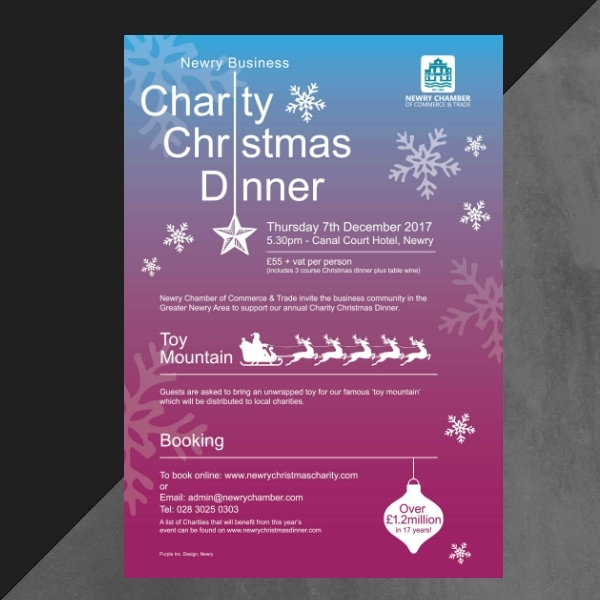 In this article, we have provided Christmas invitation templates, examples and design ideas that can help you in making your own. 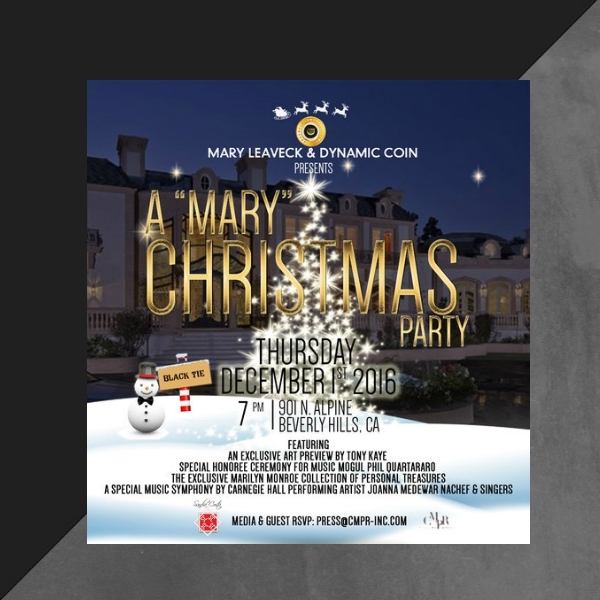 We have also provided some insights that you can learn a thing or two from such as the elements of Christmas invitation, the steps and tips in creating one, and the answers to most frequently asked questions surrounding Christmas invitations and invitations in general. Know what makes up a good Christmas invitation by getting yourself familiar with its elements. 1. Name of the host: How will your guests know it’s you who is inviting them if you are not going to include your name as the host? Even if you are the one who personally handed it, it is still important that you should place your name as the host on the Christmas invitation that you will be sending out. 3. Answers to Wh- question: Christmas invitations are meant to inform, and when you inform, you must ensure that you will be able to answer the basic Wh- questions, namely Who, What, Where, and When. Who? This question may answer two Who questions: “Who is hosting the Christmas celebration?” and “Who is invited to the Christmas celebration?” To answer the former, you must write your name as the host of the said event. To answer the latter, you must indicate the name of the family member, friend, colleague, or workmate especially if it is an exclusive event and only those who were invited can get into the party venue. What? This question informs the receiver what the Christmas invitation is all about. Since you are giving out Christmas invitations, it may already be obvious that you are inviting people over for a Christmas celebration. However, it is still necessary for you to write what the celebration is all about as there are some guests who may still wonder what your invitation is for. Where? This can be answered with the complete address of the venue of the Christmas celebration you are organizing. Without the answer to this question, how else can your guest get to the party? You may also even include a map your guests can follow in case you are choosing an unfamiliar place for your Christmas party so that they will not get lost or get to the wrong place. When? The answer to this question must go along with the answer to the Where? question. Even if your guests will arrive at the exact venue, it will still be pointless if they will arrive at the wrong time, and worse, on the wrong date. 4. Special instructions: You may have a theme for your Christmas celebration that you want your guests to follow and this is why you have to ensure that you will indicate your specific instructions about your Christmas celebration. Make sure that your guests will get the memo especially on what to wear, what to bring, etc. 5. Reply instructions: Other instructions you must indicate on your Christmas invitation are the reply instructions that may also serve as your RSVP. This information is important since this is how your guests will be able to confirm their attendance to your Christmas celebration. Additionally, do not forget indicating the deadline as to when your guests must be able to send their confirmation. 1. Determine a concept or a theme: If you want to have no problems in creating your Christmas invitation, make sure that you have a definite concept or theme in mind. Your concept or theme will help you create a picture in your mind of how you want your Christmas invitation to look like. 2. 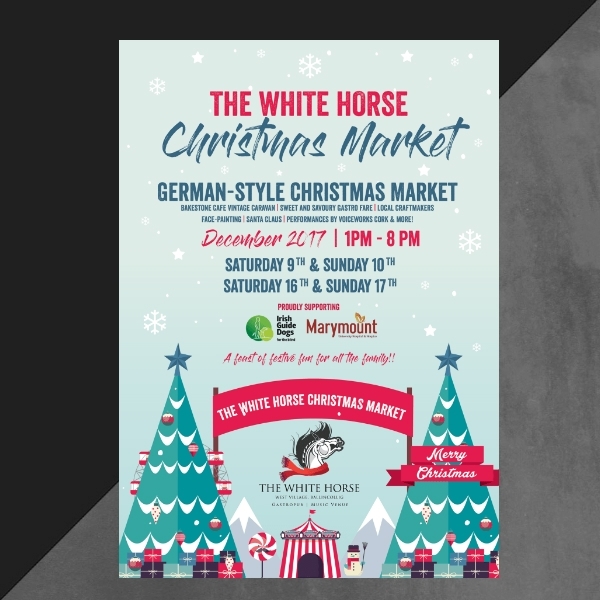 Decide on your page orientation and paper size: Right after determining what concept or theme you want for your Christmas invitation, you must then consider deciding on how you are going to present your Christmas invitation. Do you want to present it in landscape or in portrait format? 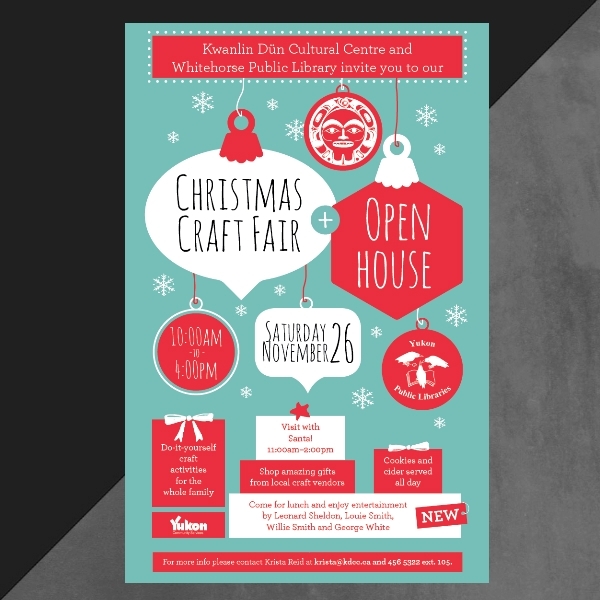 Do you want to use a large invitation size or a regular-sized one? 3. Layout your invitation’s written content: It will now be easy for you to layout the written content of your invitation now that you have already determined the basics. In laying out the written content of your information, make sure that you are going to organize it well so your invited guests would not have a hard time figuring out what your message is. 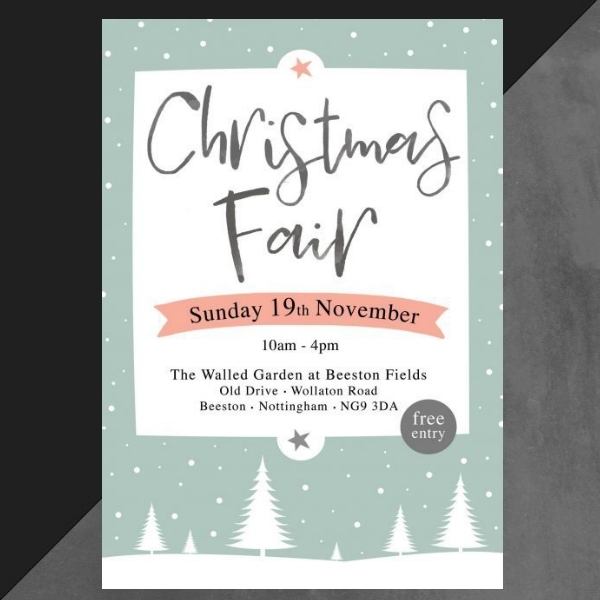 Take also into consideration your typography choice as this can make or break the readability of your Christmas invitation.You may also see christmas greeting cards. 4. Layout your invitation’s visual content: After dealing with the written content of your invitation, you can then proceed to its visual content. 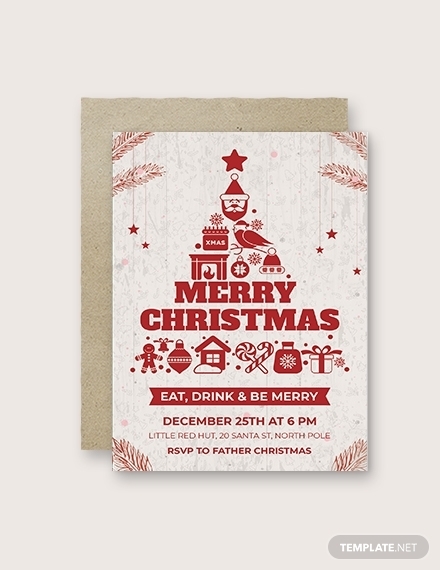 The visual content of your Christmas invitation consists of the images, graphic elements, and colors. It is important that you will only incorporate visual contents that are relevant to your Christmas invitation and that it can also help you in reinforcing the message you want to convey through your Christmas invitation. 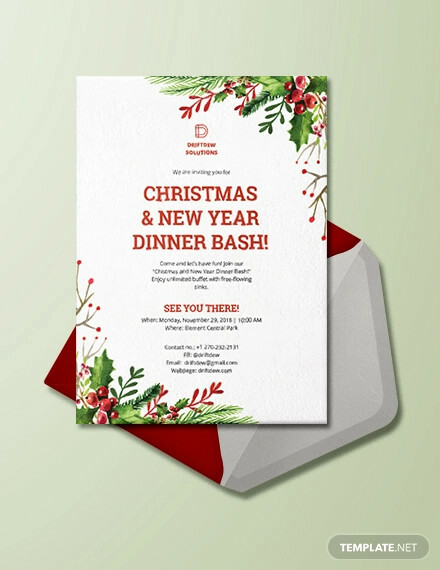 5. Review and revise before printing your Christmas invitation: Now that you have everything you need for Christmas invitation, there is just one thing left for you to do and that is to review the overall content of your Christmas invitation. 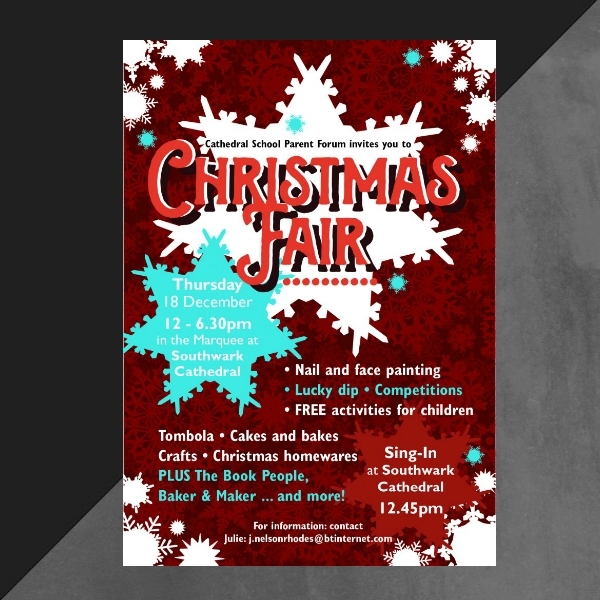 Once you notice that there is something wrong with your Christmas invitation in terms of the placement of design elements and grammar and spelling, do not forget revising them before having it printed. 1. 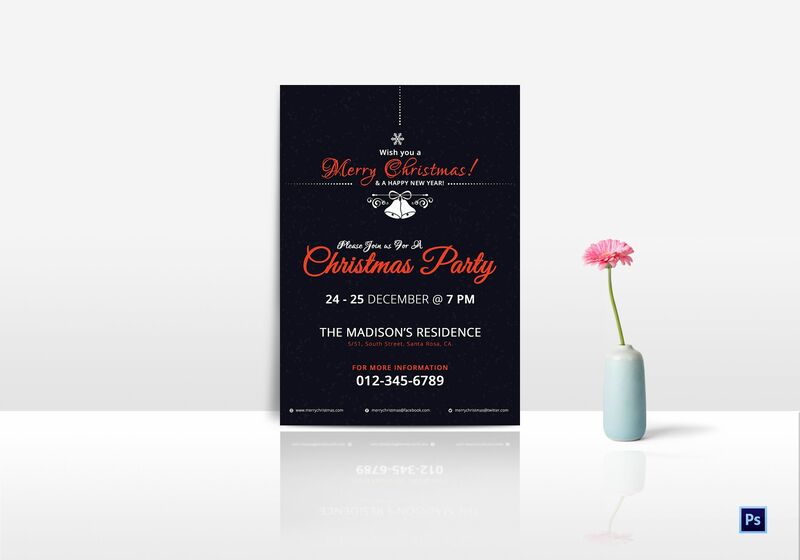 Make use of a ready-made template: Are you about to create a Christmas invitation layout for the first time? Are you about to create a last-minute Christmas invitation? 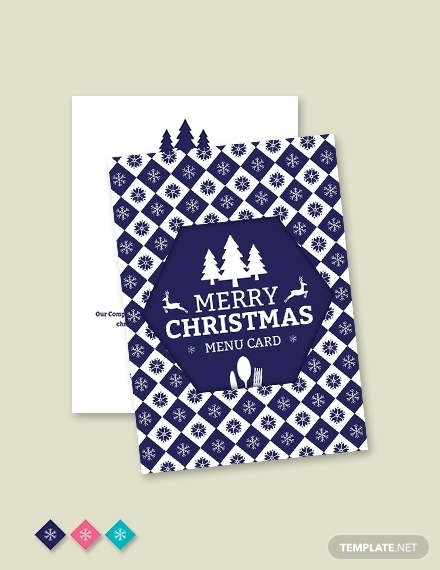 Then make use of a ready-made Christmas invitation layout. The use of templates is the quick but the best way for you to jump-start any of your design journeys. 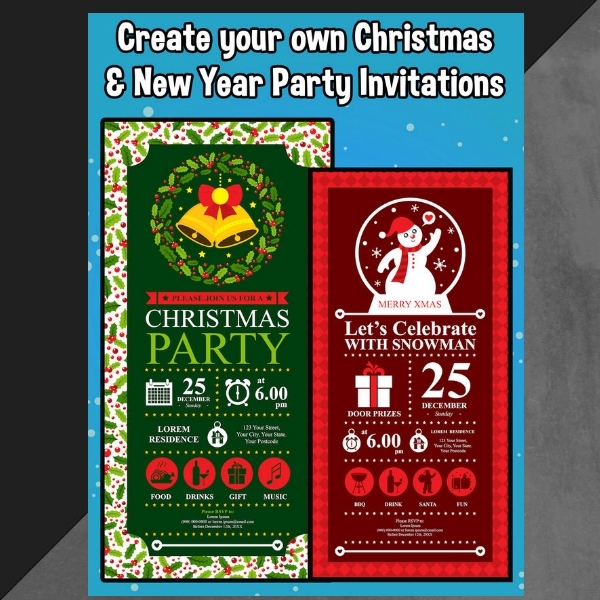 In this article, we have provided ready-made Christmas invitation templates that you can edit using various editing software such as Adobe Photoshop, Microsoft Office, Microsoft Publisher, and Pages. 2. 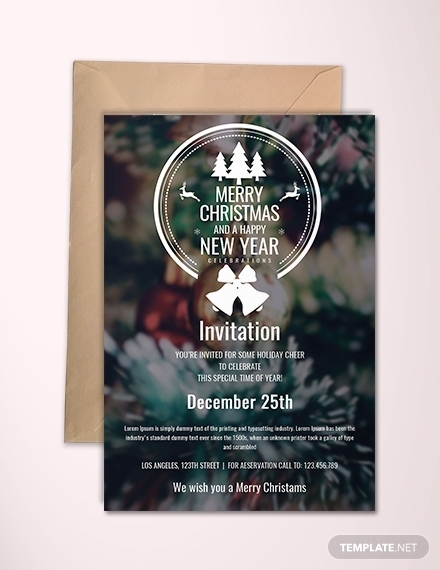 Make sure your Christmas invitation will not look crowded: It is important that you are not going to make your Christmas invitation look disorganized and overwhelming to the eyes, especially to its receivers. Take into consideration one key concept in graphic designing which is negative space. 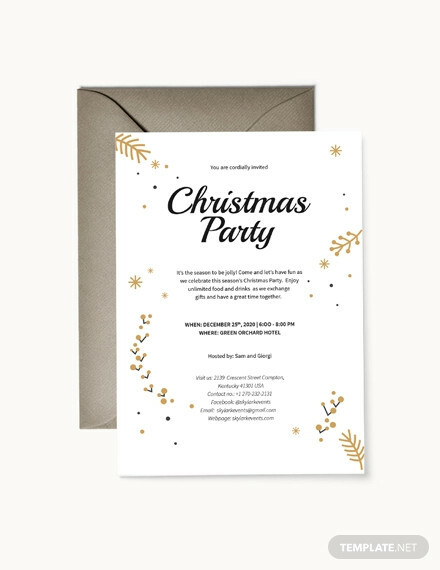 Having negative space on your Christmas invitation design will help you in taking all of the important aspects of your Christmas invitation without getting distracted by the visual elements. 3. 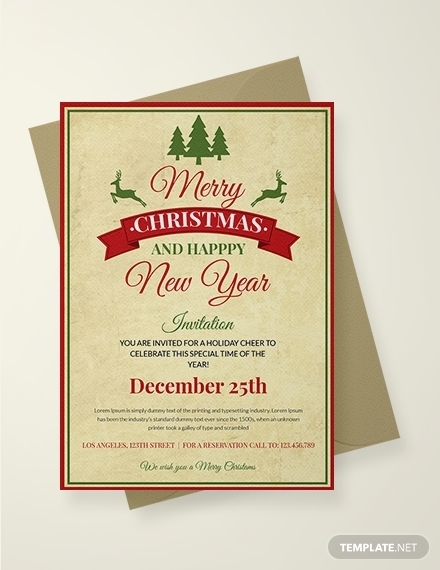 Never underestimate the written content of your Christmas invitation: Have you ever encountered invitations that have poorly written content? Such invitations may contain a lot of mistakes in its texts such as wrong information and grammatical errors. Have you also received invitations that contain too much of visual content that overpowers its written content? Such invitations fail the very essence of a sending out an invitation—you do not simply send an invitation just to solely impress the receivers with your designing skills. What is a Christmas invitation? 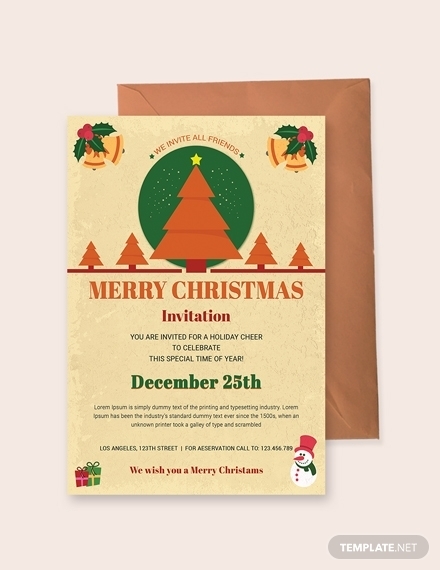 A Christmas invitation is a type of invitation card that summons or requests a certain individual’s presence to an occasion or event that is held in accordance with the Christmas holiday. 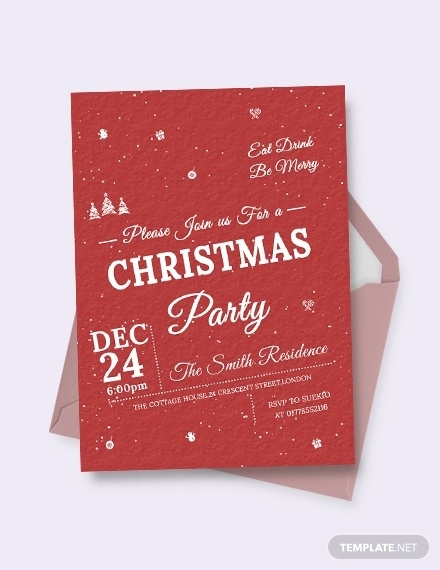 Christmas invitations are usually printed on materials such as paper, plastics, tissue, and textile. What is the purpose of a Christmas invitation? 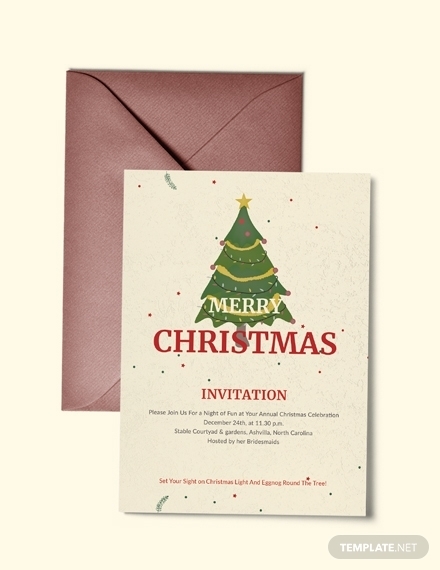 Like any other types of invitations, a Christmas invitation does not only summon or request an individual’s presence but it would also enable the sender to build or maintain a strong relationship with its receivers who are usually their family, friends, and colleagues. 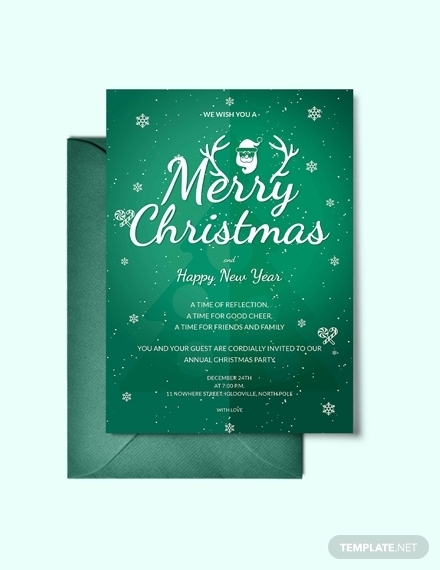 In the same sense, if you are using a Christmas invitation for your business’s Christmas occasion, sending out a Christmas invitation is perhaps one of the best ways to improve or even enhance your business’s brand image. 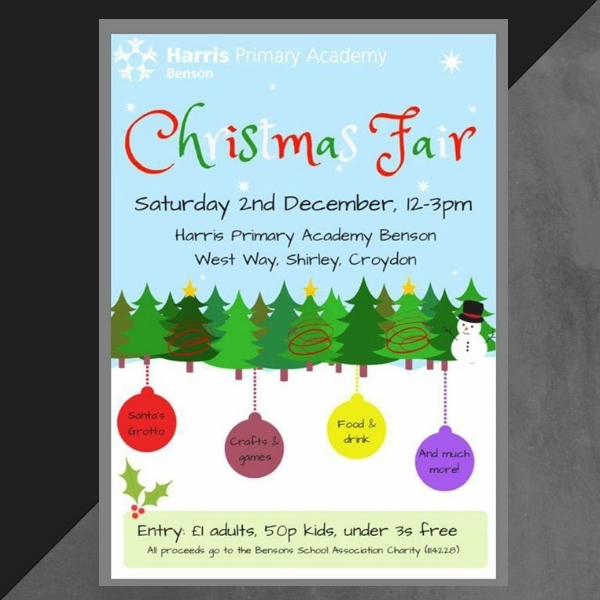 We hope that the Christmas invitation examples, templates, and design ideas that we have provided in this article have given you inspiration on how you are going to create your very own Christmas invitations. 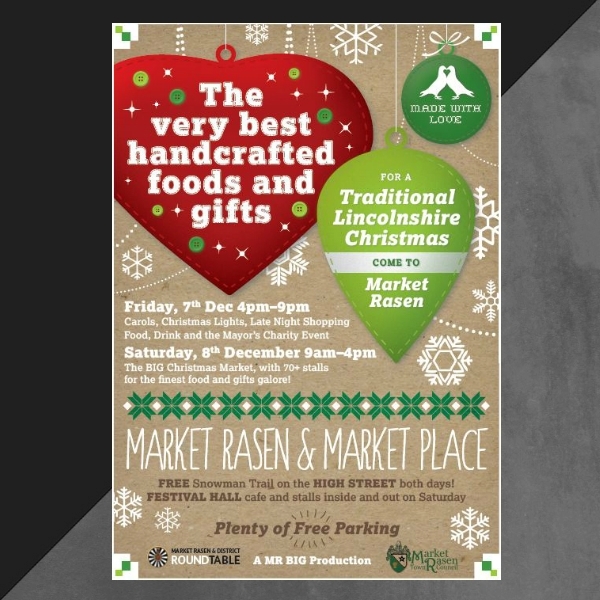 For more Christmas-related articles, you may also check out these Christmas flyer examples, templates and design ideas.